So, we’ve covered the basic cell and how these cells are viewed as part 1 of this Science series. Since our homeschool microscopes are not as versatile or powerful, we can either ask them to draw using a simple worksheet the various images (usually there are pre made slides in a microscope kit) of various samples of “tissue’. Or you can make your own simple slide of hair, a tiny speck of dust, water from pond, or even your own blood ( if you can prick yourself for some sample). 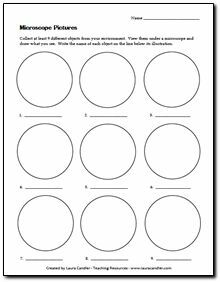 We can opt to just google for “microscopic image of _____________” and let our students copy and color using the same worksheet and identify them. As they do this, you can read aloud more about the cells they are copying. We worked on copying a bacteria, fungi and a heart muscle cell (as part of our upcoming lesson). You may opt for other cells like an amoeba, a virus, skeletal muscle or skin cells. The options are limitless. We also did to make play dough images of some cells we learned about. At this point, it would be good to remind your students that a billion/trillion cells make up a organ/system in your body. We then proceeded to discuss the Cardiovascular or Circulatory System. When kids encounter big words as such, be sure to train them to try to understand these words by trying to get into root word analysis. You may also introduce a bit of Latin as well and explain why anatomy terms mostly are based on Latin words. Cardio – heart, Vascular – Vessels or passageways for blood. Circulatory – circle, or circulate. It is a continuous cyclical process of pumping and receiving blood. So with the remaining play dough we had (oh these tubs were awesome finds, maybe 10 years ago from Toy Station in Rockwell) We had all colors! Now were down to the last tub (like an ice cream tub), pink and it suited us well. A doctor friend really thought it was closely resembling a hear which we dissected in anatomy class way back. We first read about the heart/circulatory system and watched some videos . You can ask your kids to take notes as you watch. 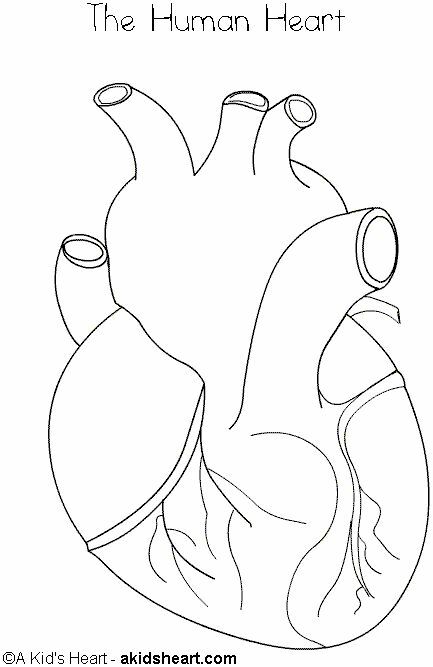 You may opt to use these templates or worksheets to demonstrate basic parts of the heart. Here is another video. With a good model or diagram to follow, Gino then has a go! Can you identify the basic parts? Right Atrium, Tricuspid Valve, Right Ventricle, Left Atrium , Mitral Valve, Left Ventricle, Interventricular Septum (This is an opened up view of heart, if you lift the front covering. Ask your student to get the amount of dough equal to his fist, that is approximately the size of his heart. Now here is a tip: Arteries- AWAY. They bring oxygenated blood AWAY. Arteries, Away. As for Veins… forgive me here.. VACK. as in Back. They bring blood blood back to heart/lungs for oxygenation. There are a few exceptions like Pulmonic Artery, brings blood from the Right Ventricle to the Lungs for oxygenation . A Breast surgeon friend said, “Wow, may coronary arteries pa.!” Arteries that supply the heart muscle with blood! We had to do that so I could explain what happens in a heart attack! Forgive me for my excitement but now that the students know the basics, we can spice it up a bit by giving some examples of abnormalities or illnesses of these organs. I punctured a hole in the wall of the heart that decided the left and right side and said, many babies are born with holes in these walls. Many naturally close at some point but others may need surgery to close the hole because you can’t have blood from different chambers mix! Then you can even go further and demonstrate what happens with blocked arteries that may cause hypertension or even a coronary attack ( heart attack! Please remember attack involving the decreased or lack of oxygen to the heart is a heart attack while that which involves blood supply to the brain is a cerebral stroke. Can you google what is the medical term for a heart attack? Comment below for your answer. If you want to extend the lesson, you can even talk about Healthy Practices in keeping your arteries clog free! He actually should not be smiling here because his artery (using play dough and a toilet paper roll) is completely blocked! If you have a stethoscope at home, have a go and listen to each other’s heart! Count the beats per minute. Use Math here. Multiply the number of beats per minute x number of minutes per hour, then hour many hours per day and viola, you can figure out how “awesome” our heart is! While you’re at this, do some 5-10 minutes exercise and listen to your heart again. Your kids will truly be amazed at the big difference in the beats per minute soon after you move around! Without a stethoscope, you can use your own pulse taken using your index finger on your inner side of wrist or on your carotids in your neck. Try to get your own pulse. Do not use your thumbs for they have their own pulse! For older children, you make them research about the common pulse points and let him/her demonstrate such as this! You can assign a pulse log so he can see variation within the day! How exciting? Sorry! am really a nerdy Science person! As mentioned, I super love relating seemingly Academic Stuff to “deeper stuff”. I would probably use the verse below as we start the day and eventually relate it to our Science lesson on the heart. How does one spiritually and physically guard ones heart? Wow, that’s a valuable application exercise , right there! Oops, there was just so many things to share about this system, we will have part 3 then for our genetic material/ DNA topic. Have a heartfelt, heart full session with your students! Next Next: National Homeschooling Day Tagline Making Contest is On! Join Now!